As a young OD, jumping into private practice right out of school was a daunting proposition. However, I knew early on that owning my own practice would give me the work-life balance I needed, as well as the flexibility to control my patients’ quality of care. So, one year after graduation, I purchased my practice. As I celebrate our first anniversary, I reflect on the tools that were instrumental along the way and that I recommend to anyone considering the private practice path. First, having a support network is essential. I started building my network in optometry school, attending industry meetings and connecting with local optometrists—something I recommend all students do. It’s such a welcoming community—as soon as you know one doctor, they’re handing you off to someone else who knows someone else, and soon you have a strong network in place. Having that community made it a lot less scary to jump into private practice right away. 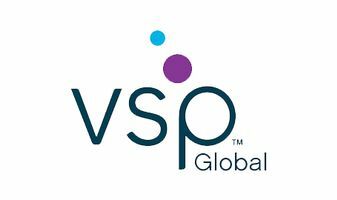 Once I’d made the leap into private practice, I added to my network by partnering with VSP Global and the Premier Program. VSP answers my questions and supports me as I navigate this new territory—any time I need help with anything, I can call and speak to someone who knows my practice, has actually been into my practice, and can answer my questions. The Premier Program drives patients into my office, offering them additional benefits, and motivating them to come back every year. The other critical piece of this journey is the willingness to embrace change. As we all know, optometry is rapidly evolving, and as a new business owner, I need to find innovative ways to embrace changes so my practice will thrive. One of the reasons I got into private practice was to build relationships with my patients and have the flexibility to change priorities as needed to better serve them. As my patients’ expectations evolve, that flexibility is critical—I am able to embrace their changing requirements and respond quickly, whether it be extending my practice hours, adding additional staff, boosting frame inventory, or improving the overall exam experience. 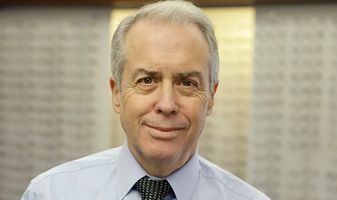 As optometry continues to evolve, I understand that I may have to adjust the way that I practice, but there’s so much opportunity if I embrace the change. As I see it, I am excited and optimistic about the future of optometry and am grateful to have started this process so early in my career. I look forward to the many years ahead to explore unchartered territory and make my practice what I want it to be and what my patients need it to be.